ECREA is deeply concerned about mounting pressures on autonomy of universities in Hungary. On 12 October, 2018, the Hungarian government removed Gender Studies from the list of accredited Master Programs in Hungary. As announced in its official outlet, the National Gazette (Magyar Kozlony) it remains now as an empty line #15 in the registry. This move followed an earlier announcement of a proposed government decree to stop offering accredited Gender Studies programmes, citing budgetary limitations and lack of labour market demand for graduates as main justifications for the proposed closure. Two universities in Hungary providing Gender Studies programs are affected directly: the state-funded Eötvös Loránd University (ELTE) and the Central European University (CEU). At ELTE, the Hungarian public university's Master Program will have to close completely, after the cohort of current students graduate. All of Central European University's programs in gender studies (1 year, 2 year MA) have United States accreditation and will operate normally. CEU will however lose Hungarian accreditation on the 2-year MAs which will influence the European wide GEMMA and Matilda Erasmus Mundus Gender Studies Master Programs. At the same time, a new study program "Economics of Family Policy and Public Policies for Human Development" planned for Corvinus University was registered without accreditation. This university is expected to become nationalized by the Hungarian government. Previously, such a course on “family studies” was mentioned by then-minister Zoltán Balog as a “properly scientific degree” to counter Gender Studies. Other prominent members of the ruling Fidesz party, including the Hungarian Prime Minister Viktor Orban, have also voiced their opposition to the notion of social construction of gender. ECREA recognizes that the mischaracterizing and questioning of the academic legitimacy of Gender Studies is not only a populist political gesture but also an anti-educational, anti-scientific, anti-democratic, anti-constitutional and anti-equality move. Through anti-genderism attacks on intellectual freedom, Gender Studies scholars are dismissed as ideologists rather than scientists. We are concerned about our colleagues based in Hungary and their contribution to European and international networks, educational and research projects as well as publishing. This not only affects the established discipline of Gender Studies at the intersections of humanities and social sciences, but also seeks to undermine the important contributions feminist theory and methodology have made to the fields of communication and media research in Europe and beyond. Gender, (and its intersectional relations with race, ethnicity, migration, sexuality, among others) is a key analytic lens for the ECREA Sections of Gender & Communication; Diaspora, Migration and the Media and International and Intercultural Communication, and is prominently on the agendas of other Sections, Temporary Working Groups and Networks. The removal of accreditation for Gender Studies programs is regretfully merely one of the Hungarian governments’ direct attacks on academic freedom, which include mounting pressure against CEU and a 25% tax on any "external funding for activities regarding migrants", which includes educational programmes for migrants. ECREA stands in solidarity with colleagues based in Hungary, who are experiencing infringements on their academic autonomy by the Hungarian government. ECREA also calls upon Minister of Human Capacities Dr Miklós Kásler to revise the decision and restore accreditation to the two Gender Studies programmes in question. Don't forget about your trainers and shorts when packing to Lugano! Join us for informal run with ECREA Board and the Local Organising Committee. 5 km or 10 km depending on your mood, enthusiasm and ability. To receive the T-shirt by mail, please enter the size (Women’s model: S, M, L; Men’s model: M, L, XL) and your postal address in the donation form. If you make the donation during ECREA ECC conference in Lugano, you can also pick up our super-fast and fashionable expression of gratitude at the registration desk. Before you go to the registration desk, please, write a short e-mail to ECREA Administrator Markéta Štechová at info@ecrea.eu to make sure your t-shirt will be ready for you. ECREA 2018 Conference App is now available. You can check the programme on the go, create your personalised schedule and stay updated during the conference. Use the QR code you see in the conference programme page to download the app on your smartphone. Conference organisers prepared a list of practical information you might like to know before going to Lugano: https://www.ecrea2018lugano.eu/practical-information/. You are invited to check the free chapter sampler for a selection of latest volumes published in ECREA book series (Routledge Studies in European Communication Research and Education). You can access the free chapter sampler here. ECREA is pleased to announce that the 8th European Communication Conference will be hosted by the Communication and Society Research Centre (Centro de Estudos de Comunicação e Sociedade - CECS) of the Institute of Social Sciences, University of Minho, Braga, Portugal. The conference will take place in the buildings of the University of Minho. Under the theme ‘Communication and Trust: building safe, sustainable and promising futures’, ECC2020 will aim to draw attention to vulnerabilities shaped by the speed of technological change and new communication practices. The organising team led by Helena Sousa will introduce ECC 2020 during the upcoming European Communication Conference in Lugano (31 October - 3 November 2018). More information will follow. We are sad to inform you that former ECREA Radio Research Section Chair Guy Starkey passed away at the beginning of August, aged 59. Guy Starkey chaired ECREA Radio Research Section between 2008 and 2014 and was a member of ECREA Executive Board between 2014 and 2015. Since then, he has served on association’s Advisory Board. The funeral will take place on Tuesday, August 21st, at 2pm. The venue is Cheam Baptist Church, 4 Park Road, Sutton, Surrey SM3 8QB. There are people whose memory neither distance nor even death can erase. They are people who marked us for a special dedication to a cause or to the others. Guy Starkey is such a person. So, it would always be too soon to lose people like him. This is why the news of his death at the beginning of August 2018 was so shocking for his colleagues and friends. Like many other scholars in the radio studies field, Guy Starkey started his career as a practitioner in radio, where he exercised the vibrant, absolutely clear and unmistakable intonation of his voice. Although he has also worked in magazine journalism, radio was his main vocation. In addition to his exciting experience at the Voice of Peace, an offshore radio station broadcasting from the Mediterranean to the Middle East, Guy Starkey also worked for Radio Nova International on the French Riviera. After his graduation, he was employed by the British Forces Broadcasting Service in Gibraltar. His professional credits include several commercial radio stations and BBC Radio 4. He had the passion for radio and knew how mysterious the relationship with the studio can be, as well as understood the imaginative power of the spoken word and the complicity with the listeners, which he was still practising in his morning show—Weekend Breakfast Club—every Saturday and Sunday, from 7 to 11 a.m. In 2001, after receiving an MA in Media Education, Guy Starkey was awarded a PhD in Educational Studies by the University of London with a thesis entitled ‘Balance and Bias in Radio Four’s Today Programme, during the 1997 general election campaign’. His first book—Radio in Context (Palgrave Macmillan, 2004)—is still (and will be for a long time) a reference for students, as it combines in a truly balanced way theory with contributions for the development of practical skills in radio production. In 2007, Guy Starkey published Balance and Bias in Journalism: Representation, Regulation and Democracy (Palgrave Macmillan), which represented more or less a return to his PhD thesis, based on his concern with the power bestowed on those who have the ability to shape representations in the mass media. In 2009, Sage published Radio Journalism, a book that Guy Starkey co-authored with Andrew Crisell. Exploring what makes radio reporting distinctive, this book results from the magnificent harmony Starkey had with Crisell in acknowledging how radio transformed the character of the news and how radio journalism is worthwhile. His last book, published in 2011 (Palgrave Macmillan) —Local Radio, Going Global—explores the impact of globalisation on local radio stations. In a way, it is a book on the economy of the radio sector, putting into perspective themes like regulation, localness and ownership. Well-informed and visionary, this book also shows how Guy Starkey was an intuitive researcher, taking seriously the risk local radios face of falling into the hands of big media groups. Between 2000 and 2017, Guy Starkey published several book chapters and articles in scientific journals on radio, regulation, journalism, localness, democracy and citizenship. He coedited two other books: Radio Content in the Digital Age: the Evolution of a Sound Medium (with Angeliki Gazi and Stanislaw Jedrzejewski, 2011, Intellect) and Radio: the Resilient Medium (with Grazyna Stachyra and Madalena Oliveira, 2014, Centre for Research in Media & Cultural Studies). A regular participant in scientific events, Guy Starkey has also acted as reviewer and consultant in scientific journals, events, projects and industry awards (such as the New York International Radio Awards, the Radio Academy Radio Production Awards and the Frank Gillard BBC Local Radio Awards), not only in the UK but also in Portugal, Spain and France. He was a member of the Steering Committee of the Radio Studies Network within MeCCSA and of the Scientific Committee of the Groupe de Recherches et d'Etudes sur la Radio (GRER). Guy Starkey’s legacy is however much more than pure science or countable outputs because in his discreet way he was a kind of ‘communities maker’. Unpretentiousness and humility do not apparently combine with leadership, but his modest and welcoming temperament was the source of his tremendous talent when leading groups. He was the Associate Dean (Global Engagement) for the Faculty of Media and Communication of Bournemouth University since January 2016. Previously he was Professor of Radio and Journalism at the University of Sunderland, where he had the role of Associate Dean (Media) and Head of Department (Media). In 2008, he was appointed chair of the ECREA Radio Research Section, a position he held until 2014. Between 2014 and 2015, Starkey was Sections Representative on the ECREA Executive Board and member of the Advisory Board. In 2013, as chair of the section, Guy Starkey organised the 3rd Radio Research Conference at the University of Sunderland in London. Like other events of the ECREA Radio Research Section, it was an outstanding event. But besides the high quality of the scientific programme, there was a particular detail that made this conference such a unique event: as accommodation is very expensive in London and usually breakfast is not included, participants were provided with a breakfast every morning in the conference hall! Only a sensitive man like Guy Starkey was would have thought of offering this! Among other scholars, Guy Starkey was always between equals. There were no signs of any superiority or vanity. His words were always warm and kindly. Scientific meetings with him were always like a circle of friends, where he used to ask about our families and update us on his own children’s achievements (just like proud fathers do). Guy Starkey was one of the most gentle people many of us ever met. For those who are not native English speakers and express words with some difficulties, Guy was the most delicate and pedagogic interlocutor. Speaking Spanish and French as foreign languages, he knew very well how non-native speakers were experts at ‘inventing new words’! And when chairing conference sessions or presenting his own work, there was a melody in his voice, intended to make his words totally understandable and to create the same empathy radio practitioners reach with their listeners. Guy Starkey was a one-of-a-kind man. In the hours that followed the announcement of his death, many colleagues wrote messages praising the person he was. There will be no fairer tribute nor better words than those posted on Facebook and sent by email: ‘a brilliant man’, ‘the finest friend’, ‘a wonderful and generous scholar’, ‘kind, generous and extremely professional’, ‘a great colleague’, ‘an amazing tutor’, ‘a wonderful man’, ‘an excellent scholar, researcher and a big inspiration for students and co-workers’, ‘a leading, caring and inspiring colleague’, ‘one of the most genuine, caring, sincere people’, ‘an amazing gentleman’, ‘such a humble and approachable human being’. If radio studies are now a vibrant, vivid, emotive and passionate scientific area, it is to a great extent thanks to Guy Starkey, with whom many scholars learnt how science is simultaneously a matter of thinking and affection. We are sad to inform you that former ECREA Radio Research Section Chair Guy Starkey passed away last Thursday aged 59. Guy Starkey chaired ECREA Radio Research Section between 2008 and 2014 and was a member of ECREA Executive Board between 2014 and 2015. Since then, he has served on association’s Advisory Board. 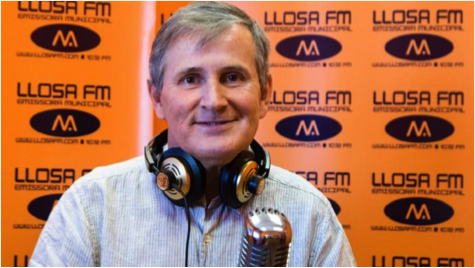 His major publications include Local Radio, Going Global (2015, Palgrave Macmillan), Radio: The Resilient Medium (co-edited with M. Oliveira and G Stachyra (2014, Sunderland: Centre for Research in Media & Cultural Studies), Radio in Context (2004 and 2014, Palgrave Macmillan), Local Radio, Going Global (2011, Palgrave Macmillan), Radio Content in the Digital Age: The Evolution of a Sound Medium (co-edited with A. Gazi and S. Jedrzejewski, 2011, Intellect), Radio Journalism (co-authored with Andrew Crisell 2009, Sage), and Balance and Bias in Journalism: Representation, Regulation & Democracy (2007, Palgrave Macmillan). European Media and Communication Summer School 2018, that took place at Università Cattolica del Sacro Cuore, Milan, Italy, from July 19 to July 27, 2018, successfully ended. With 26 Ph.D. Students as participants and 17 lecturers, the Summer School offered 20 Workshops, 5 Lectures and 3 Roundtables. The Doctoral Summer School is a great opportunity for young scholars to get inspired for their research projects and to meet other scholars from all around Europe. This year, ECREA selected young scholars by awarding 3 grants in total amount of 3500€. Programme Committee (in alphabetic order): Aukse Balcytiene, Fausto Colombo, Peter Dahlgren, François Heinderyckx, Andreas Hepp, Hannu Nieminen, Louise Phillips, Pille Pruulmann-Vengerfeldt and Ilija Tomanic-Trivundza.